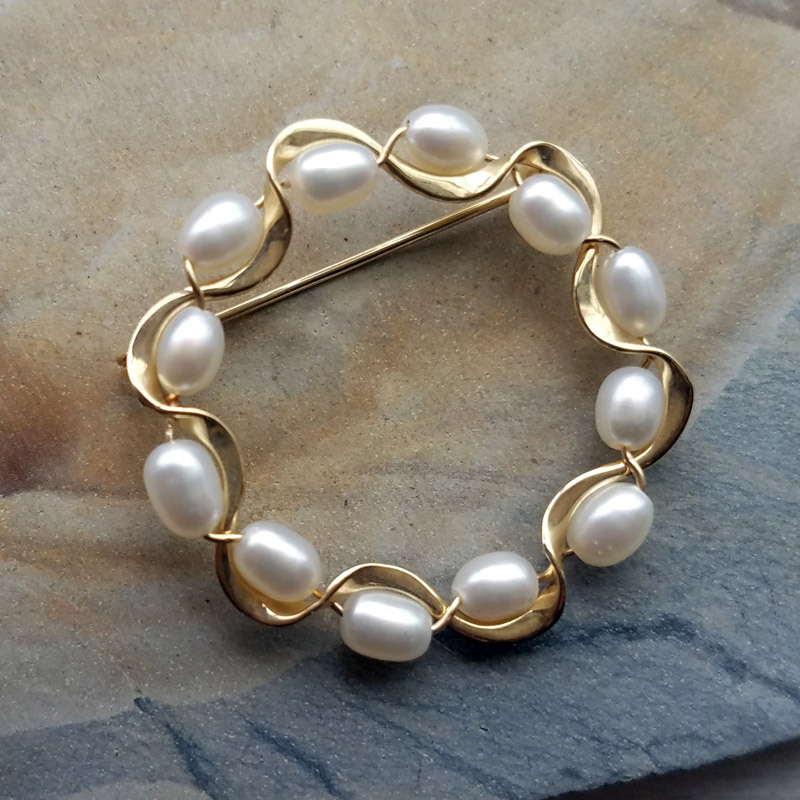 Vintage 14k yellow gold brooch with freshwater pearls. 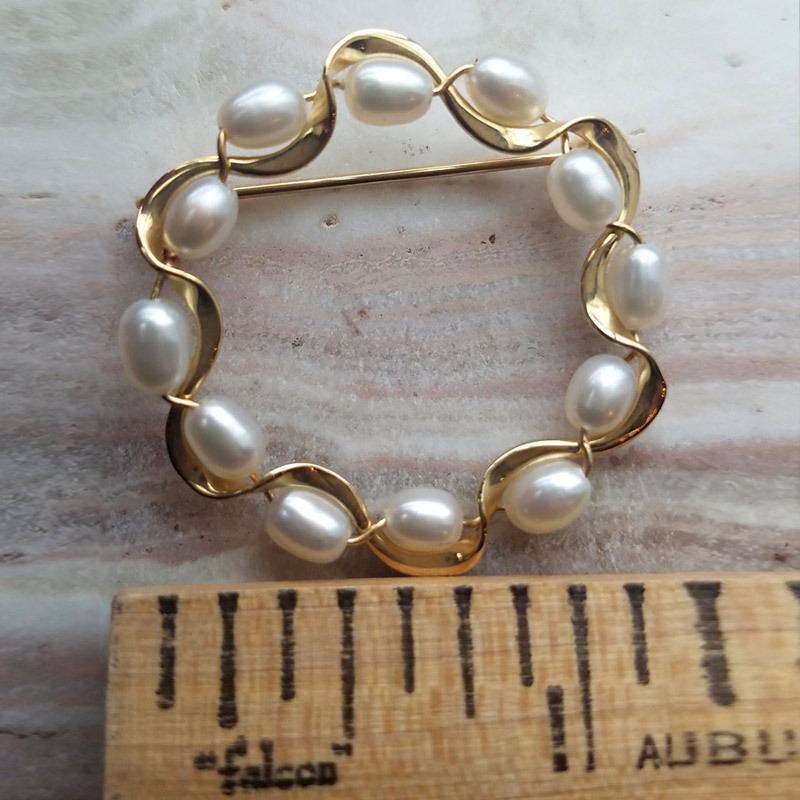 The pin is 30mm in diameter. Hallmark: 14k; Weight: 3 grams. 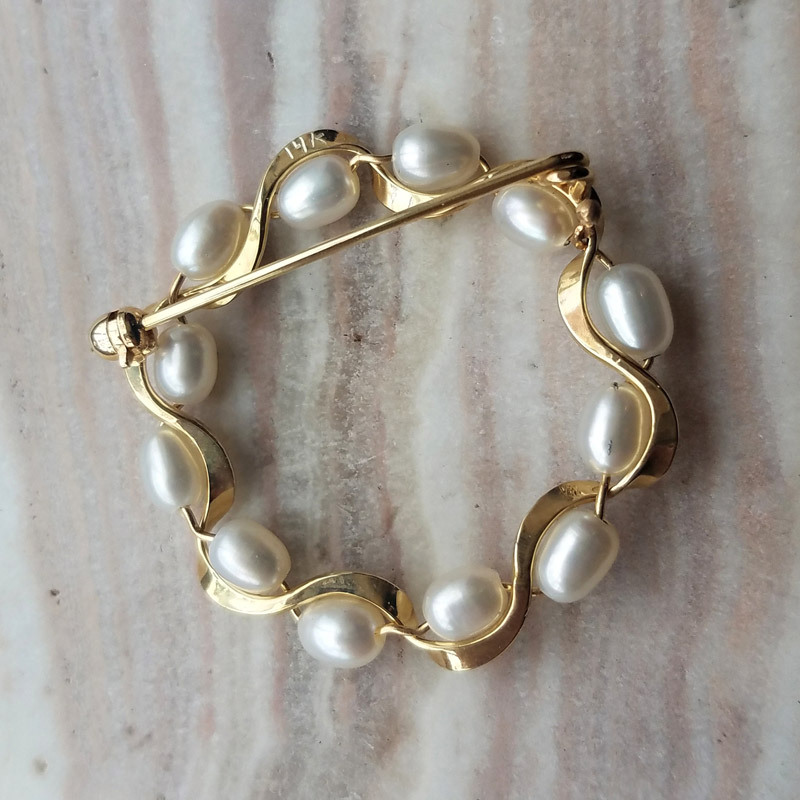 Very elegant piece.